Drawing its inspiration from the magnificent mosiacs unique to Andalusia. Drawing its inspiration from their work of art, S.T. 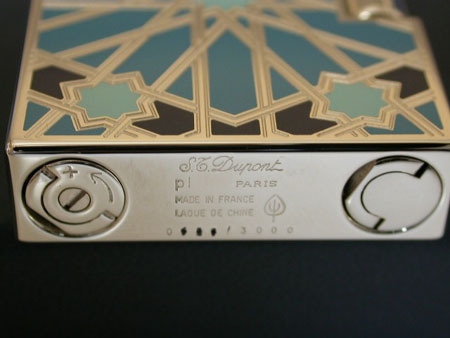 Dupont has designed a Limited Edition collection by combining platinum, Chinese lacquer and turquoise. 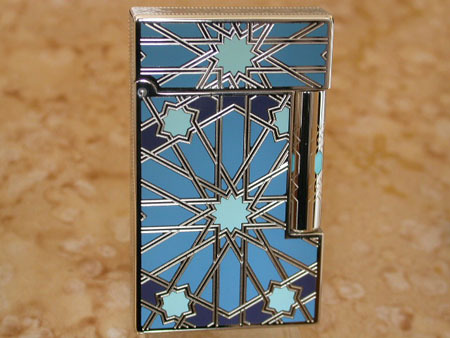 The square motifs decorating these precious articles feature intertwined geometric-style Guilloche work with rich cameo of blues, using three different colors of Chinese lacquer and inlaid turquoise. 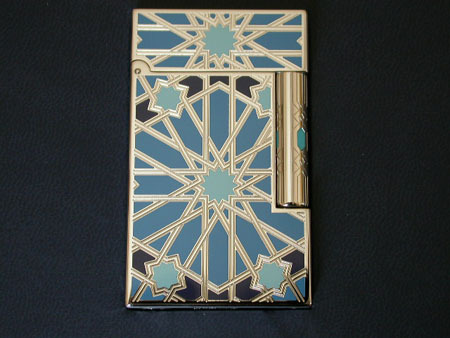 These pieces are then presented a beautiful blue "Andalusia" box embossed with Moorish motifs and glint silver trims. The line 2 lighter is mint, never fired, never used. 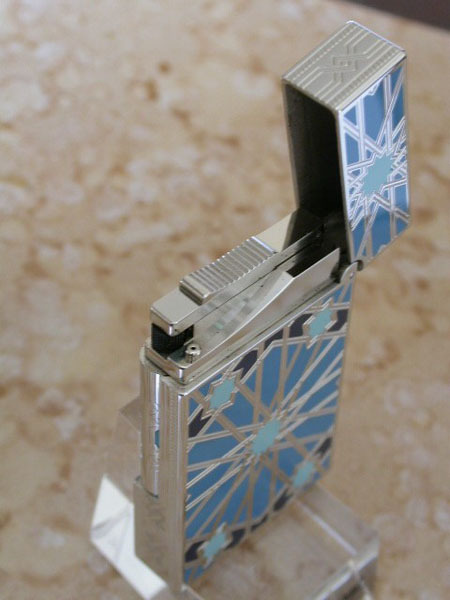 It has all original boxes: outer sleeve, blue outer box, blue decorative box, paperwork, warrantee and service cards, all in mint condition.